On May 31, 2017, a media forum, dedicated to the 28th session of the International Energy Charter Conference was held in Ashgabat. The forum was attended by foreign and domestic journalists, experts, representatives of relevant ministries and departments. In particular, representatives of about 30 international news agencies and publications such as AzerTaj, Russia-24, Bernama (Malaysia), the News of Uzbekistan, the Belarusian Telegraph Agency, the Anatolian news agency, “China Electric Power news", the National Information Agency of India "Doordarshan", the information agency "Ukrinform" and others. During the forum, the Secretary-General of the International Energy Charter Urban Rusnak, the Minister of Energy and Water Resources of Afghanistan Ali Ahmad Osmani, the Deputy Minister of Energy of Georgia I. Eloshvili, the Deputy Minister of Energy and Industry of Albania I.Beytya, the Minister of Energy of Turkmenistan C.Purchekov and representatives of the ministries and departments of Turkmenistan made their presentations. Participants of the media forum exchanged views on a number of topical issues, in particular, concerning the formation of a modern legal framework for cooperation in the energy sector, as well as the stability of energy transit. Also, such issues as reliable and sustainable transit of energy resources and modern challenges in the oil and gas sector were discussed. 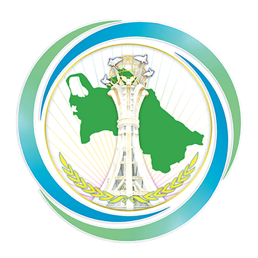 As a result of the media forum participants noted Turkmenistan's important role in boosting cooperation in the energy sector, the initiative of the President of Turkmenistan to establish broad international communication on this issue. Representatives of international media expressed their gratitude to the Turkmen side for hospitality, ensuring a high level of the forum and creating optimal conditions for its successful work.